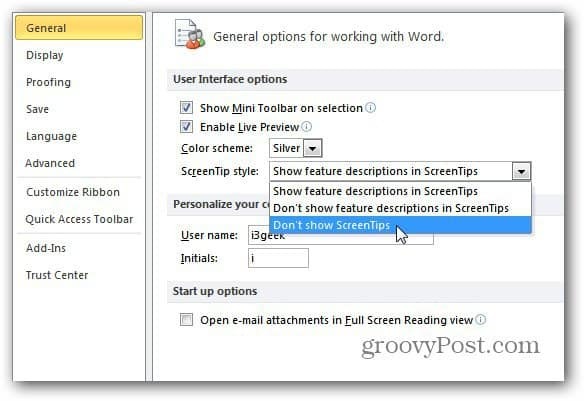 ScreenTips appear when you hover the cursor over any toolbar button or control in Microsoft Word. They give users information about the specific control or command so they know what the control does. If you don’t need ScreenTips, disable them. 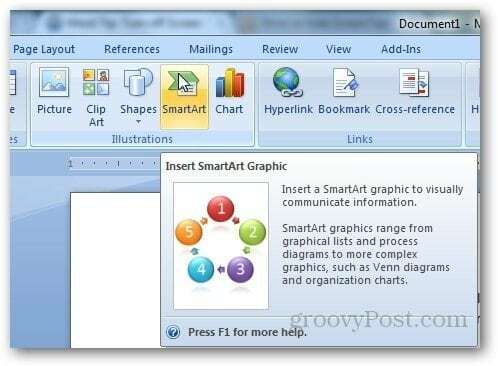 ScreenTips appear when you hover the cursor over any toolbar button or control in Microsoft Word. They give users information about the specific control or command so they know what the control does. However, many people find them to be annoying and want to disable them. If you’re looking for a simple way to disable ScreenTips, here’s how. Open Microsoft Word and click on Office button, then Word Options. Then, click on Popular tab from the sidebar. 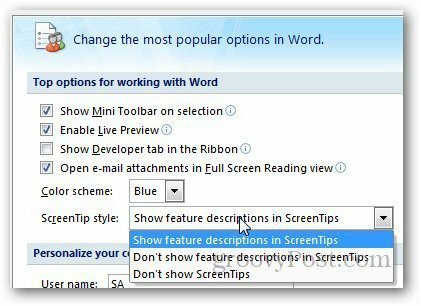 From Top Options for Working with Word, expand ScreenTip Style dropdown menu and select Don’t Show ScreenTips. 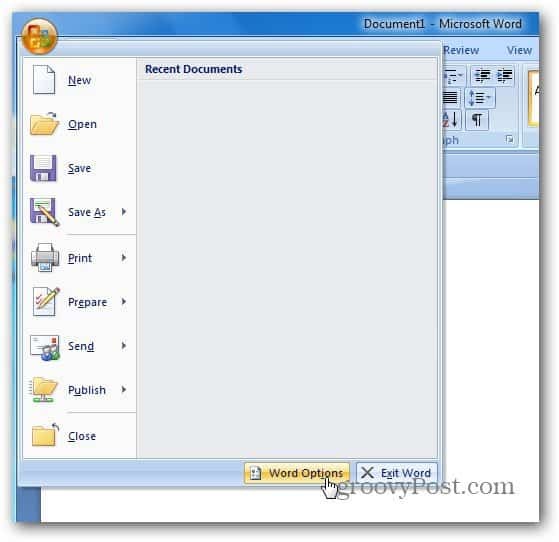 In Word 2010, click the File Tab, then Options. Under General, change the ScreenTip Style to Don’t Show ScreenTips.